Was the $7.1-Million Price Point twice an Anomaly or Harbinger of 30A Real Estate Sales to Come? 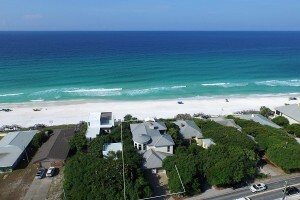 South Walton County 30A real estate sales were excited last month with a sale of not just one, but two Gulf front homes in Seagrove Beach that sold for $7.1 million each. Not only did the two homes sell for an identical price, but the homes are located within one block of each other, and both sales were less than a month apart. If you put these two stunning properties side-by-side you would notice both incredible similarities as well as obvious unique differences. Both offer a sophisticated, yet easy going beachfront lifestyle, ideal for entertaining or for enjoying quality downtime. And yet, these upscale homes also provide distinctive variations from each other that fit each buyer’s lifestyle, which proves that there is something for everyone in this sought after beach enclave. A recently constructed three-story Florida cottage on 3034 Highway 30A East sold for $7,100,000 on April 27th, followed on May 26, by the $7,100,000 sale of a two-story beach cottage built in 2011, on 2940 Highway 30A East, just about a block up the street. OK, so is this an anomaly, or a sign of 30A real estate sales to come? Naturally, we would like to proclaim the latter, but before we start hinting at a new bull market in Northwest Florida real estate, we should examine all of the relevant factors involved with these two sales. Let’s start with the prime maxim of real estate sales: “location,” repeated three times. 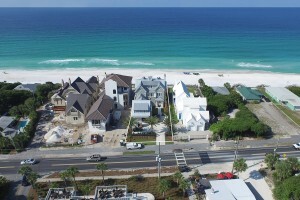 Seagrove Beach, and the adjacent New Urbanism town of Seaside, lie at the center of South Walton County’s Scenic 30A. 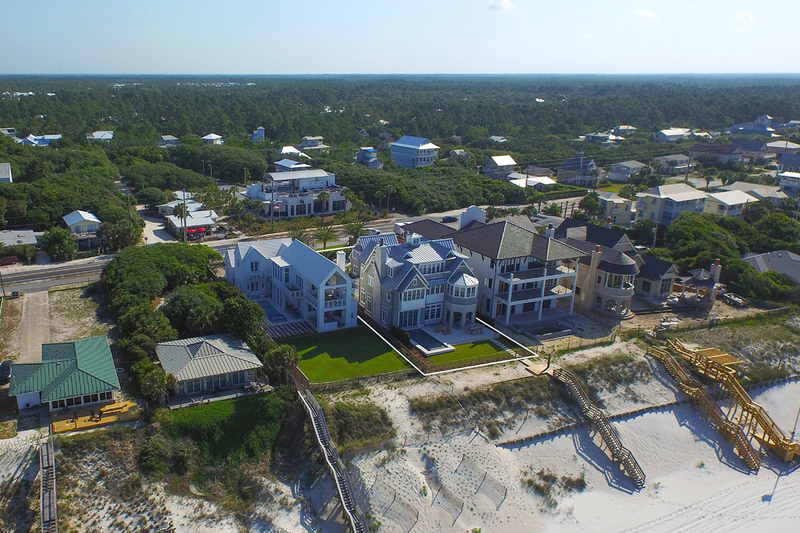 First developed in the 1920s, Seagrove is one of Highway 30A’s oldest communities, and known for its vast canopies of oak, magnolia, hickory and sand pine trees, not to mention the fine, sugar-white sand that all beaches on the 30A corridor are famous for. The community is comprised of an eclectic mix of old-style Florida beach cottages and modern luxury coastal homes, and has a healthy mix of full-time residents and vacation visitors. Both homes are located within a mile of Seaside, one of the first communities in America to be designed on the principles of “New Urbanism,” which promotes walkable neighborhoods that combine a mix of housing styles and employment opportunities. While the New Urbanism movement is still evolving, Seaside has become internationally famous for its architecture and high quality of its streets and public spaces. 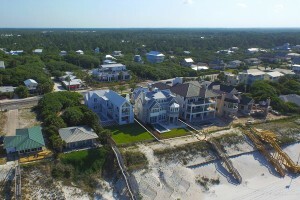 Along with proximity to Seaside, the two homes are located within a leisurely bike ride or casual stroll to many of the most noteworthy restaurants and shops along Scenic 30A. Among the natural wonders that join the fine sugar sand beaches and vast number of trees is Western Lake, a rare Coastal Dune Lake only found along the Gulf of Mexico, Oregon, Australia, New Zealand and Madagascar. Western Lake’s calm waters are popular with stand-up paddle boarders, kayakers, bird watchers and fishermen, with public access offered by the county in two separate locations. But let’s talk about each home separately first. Designed by Thurber Architects, located at 2940 East County Highway 30A this 4,276 square foot beautifully designed four-year-old home is situated on a beach dune providing breathtaking views of the Gulf of Mexico. With private direct beach access along with a generous 60 feet of gulf-frontage including an outdoor living area steps from the turquoise water, this property is sophisticated yet embraces modern coastal living at its best. Just down the road, the other home, brimming with details and designed by T.S. Adams Studio Architects, for entertaining, sits along Scenic Highway 30A. This recently constructed home was built for those who enjoy every new amenity while living the beach life at its finest. This 6,500 square foot home boasts 7 bedrooms, 9.5 bathrooms and even a laundry room on every floor, which makes it the perfect relaxing retreat for visiting friends and family. This is a home that has something for everyone, all wrapped up in a highly coveted beachfront atmosphere. So despite the differences of the properties, such as four bedrooms versus seven, one brand new, the other built in 2010, it’s easy to see why these luxury homes sold at top dollar. High-end buyers want a sophisticated, yet tranquil living environment to enjoy with their family and friends. 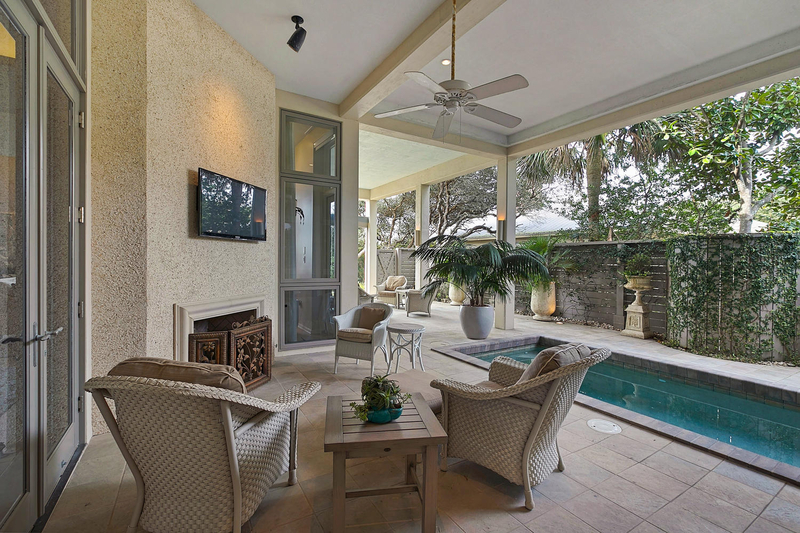 On 30A, the luxury real estate market is promising. With a 22 percent increase in sales from this time last year, we are seeing a renewed and intense focus from buyers who desire beach living at its best. With new listings coming on the market every day and many buyers making full cash offers (in January 2015, 37 cash sales were completed, up 2.8 percent from the previous January), it’s not unheard of for homes like the new construction property profiled above, to get an accepted offer within a matter of days. Finally, it should be noted that the 2940 property was only listed for sale for a mere 15 days prior to being sold, while the other home was listed for sale for about two and a half years. While 3034 Highway 30A East was on the market for a much longer period of time, the property was listed while still under construction, most buyers are most willing to pay top dollar when they can see the finished product and can have the emotional experience of actually envisioning themselves living there. Anytime you get into a healthy real estate market where the inventory of quality homes in niche locations is nearly non-existent and the demand is high, sellers have an advantage when it comes to pricing their homes. This factor, paired with discerning, well-funded buyers, allows anomalous events such as this to happen. One thing holds true in general, but in this situation specifically: Buyers are willing to pay for luxury, privacy and convenience. Being right on the Gulf, yet having restaurants, shops and the Granddaddy of New Urbanism within easy reach, may certainly spur incoming residents to set record level highs in Seagrove Beach. Really interesting read, Blake. Well written too.